A Mighty Fine Blog: Changing Horses: Thoughts on Community "History 101"
Changing Horses: Thoughts on Community "History 101"
There's been a lot of hand-wringing and pontificating about the present and future of NBC's Community over the last year (some of which occurred on this very site) as the series struggled to stay afloat amidst a perfect storm of middling ratings, a reduced order of episodes followed by it being pulled from the schedules entirely, and the firing of creator/showrunner Dan Harmon. Even during the uncertain period when the show was in production but no one had a clue when it would see the light of day, there was the additional trauma of cast member and crotchety old man Chevy Chase leaving the show even though there were still episodes left to film. Admittedly that last one was less of a surprise given Chase's repeated assertion that he didn't want to be on the show, but it still couldn't have been easy for all those involved. The important thing to remember about all that hand-wringing and pontificating, however, is that it was not based on the actual quality of the show itself, but in fact on what people assumed might happen as a result of the changes. "Surely the new showrunners (David Guarascio and Moses Port) would sand down the show's weird edges and turn it into something more easily accessible! Surely NBC would just burn off the episodes to get the show to syndication then leave it to die! Surely Chevy Chase leaving means the show is dead!" Et cetera, et cetera. Nature (and TV fandom) abhors a vacuum, and in lieu of actual episodes of the show to pick apart and analysis like so many dead frogs, it's inevitable that people will focus on anything relating to the show as a sign of its inevitable slide into mediocrity or proof that it can still surprise and astound. In the end though, none of the production details matter as much as the show itself, which is the only proof that anyone needs. With the long-delayed fourth season premiere, "History 101", airing last night, we finally have the proof of what a post-Dan Harmon Community will be like. Personally, I kind of liked it. That might sound like a very mild opinion - especially within the hyperbolic, endlessly reverberating halls of the Internet - but in the context of all the drama surrounding the show, it's one that is surprisingly controversial. There has been a broad range of reactions so far, with the most vocal consisting of two camps: "Yay, Community's back!" and "Oh God, Community has come back from the dead and must be killed with fire!" with the more moderate responses being drowned out. Neither reaction seems particularly appropriate considering that the episode, despite being a little shaky and overly manic, was no more shaky or manic than some of the lesser Harmon episodes, and the fact that it's the first episode back, and historically the show rarely put its best foot forward in that regard. Some of the jokes didn't work - particularly the three-camera sitcom sequences in Abed's head, which felt a bit tired (despite an appearance from the great Fred Willard) and were not fully committed to in a meaningful way - and the pacing seemed a little off, but the cast still sparked off of each other well and it felt more or less like Community. But it's the "more or less" part that might prove to be the most troublesome aspect going forward. Guarascio and Port have come in at a difficult time for the show and have been placed in the unenviable position of having to take over a series that they weren't previously involved with but which, despite its low ratings, is obsessively watched and discussed by its fans. As such, there's an eagerness to please on display in "History 101" which feels a little grating at times. There's a very funny joke in the episode in which Annie (Alison Brie) tries to pull her version of a Senior prank, which is to go into the Dean's (Jim Rash) office so as to leave him with the weird sense that someone has been in his office. It's a handy metaphor for the vibe of the episode: everything seems to be in its right place, but there's an indefinable sense that things are off. Not wrong, necessarily, but out of kilter in a way that is noticeable, especially if the viewer is looking for things to find wrong in the first place. It feels as if the show in its new configuration is desperately trying to ape the show as it used to be, even though the people in charge don't have the same intricate knowledge of - and more importantly deep emotional connection to - the characters that Harmon had. Admittedly, that was because Dan Harmon was by most accounts a brilliant guy whose drive and obsession made him very difficult to work with, but which also gave the show its weird, beating heart. It'd be foolish to think that even writers who had worked on the show from the beginning would be able to display the same empathy that he did or to effectively mimic his particular worldview. Unfortunately, that is what the writers seem to be trying to do, and it's an approach that will be unsustainable in the long-term, if only because trying to be someone else for any length of time is a good way to drive yourself insane. The most likely outcome - particularly if the show is renewed for a fifth season, which seems more likely than not at this stage - is that the writers will move past this transitional period and turn the show into something else. Obviously it will still have the same cast and maybe the same setting (unless they plan to take the cast out of Greendale, as was Harmon's plan for the show) but the rhythm might change, the style might change, basically it will settle down and become more attuned to the new team, rather than an attempt to replicate the past. It's an approach that worked for The West Wing, which suffered through an awkward fifth season after the departure of Aaron Sorkin before finding its feet when it stopped being so much about the Bartlet White House and instead became about an election campaign. 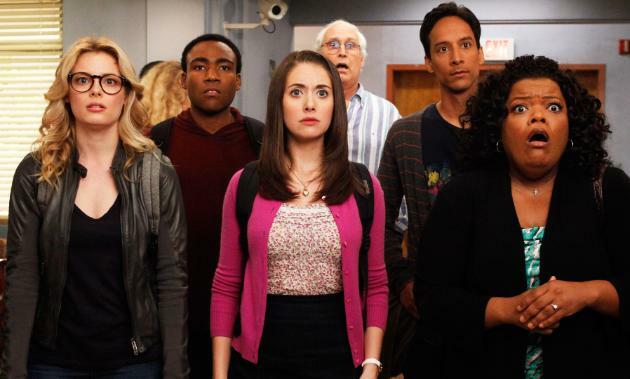 With a cast and crew consisting of incredibly talented, smart and funny people, Community could be a great show going forward, it just wouldn't be exactly the same show. The big problem with evaluating "History 101" as an episode is that the best way to approach it is as the first episode of a new show, but this is also kind of impossible. Despite being slicker than most pilots owing to the experience of the crew, it has the same basic problems that almost any pilot has, most notably the sense that the writers have a sense of what they want to do but are still getting a feel for the show. They just have a better sense of what the show should be because they can see what the show has been in the past. At the same time, the show has a history with its audience which can't be ignored, so even though the writers might want to put their stamp on things, they also have to keep track of the supporting characters, in-jokes and ongoing relationships that have been built up over the past three years. (Also, it should be noted that a lot of fans, particularly those well-versed in the production woes, are probably more likely to harshly judge the episode than most.) On most of those fronts, it did a pretty good job, and it also suggests that the awkward transitional season won't be a complete trainwreck, even if won't be as good (or as bad) as the show could be before. Here's hoping it manages 12 more episodes like this so that Community has the chance to evolve into a more satisfying new show, rather than remaining the slightly eerie simulacrum that "History 101" threatens it could become.